January 26, 2015 – () – Military Transition Counselor Click here for full details. January 26, 2015 – () – Military Financial Planning Counselor Click here for full details. January 25, 2015 – (, Aberdeen Proving Grounds, MD 21005, USA) – Senior Software and Systems Engineer/Chief Architect/Chief Technology Officer Click here for full details. January 24, 2015 – (, Fort Knox, KY , US) – Linux/Unix Administrator – College Graduate Click here for full details. January 24, 2015 – (, Houston, TX , US) – Business Service Delivery Lead Click here for full details. January 24, 2015 – (, El Centro, CA , US) – Field Services Technician Click here for full details. January 24, 2015 – (, Austin, TX , US) – Technical Delivery Manager Click here for full details. January 24, 2015 – (, Las Vegas, NV , US) – Field Technical Support RepresentativeClick here for full details. January 24, 2015 – (, San Diego, CA , US) – Cyber Security Systems Engineer Click here for full details. January 24, 2015 – ( Oakland, Irvine, Los Angeles, Riverside, San Diego, Santa Cruz , Oakland, California 94607, United States) – Life Sciences Commodity Team MemberClick here for full details. January 24, 2015 – (San Diego, CA, San Diego, CA 92147, USA) – Air and Missile Defense – Warfare Facilitator Click here for full details. January 24, 2015 – ( Oakland, Irvine, Los Angeles, Riverside, San Diego, Santa Cruz , Oakland, California 94607, United States) – IT Commodity Team Member Click here for full details. January 24, 2015 – (, Auburn, Washington 98002, United States) – Office CoordinatorClick here for full details. January 23, 2015 – (Alabama, Troy, Alabama , ) – Manufacturing Engineers Needed / Urgent Click here for full details. January 23, 2015 – (Stratford, Stratford, CT , ) – Support Equipment Staff Specialist / Urgent Click here for full details. January 23, 2015 – (University of Texas at El Paso , El Paso, Texas 79902, United States) – Post Doctoral/ Research Scientist – Biological Sciences Click here for full details.  January 23, 2015 – (, Quantico, VA , ) – Test Engineer IV Click here for full details. January 23, 2015 – (, Quantico, VA , US) – Network Systems Engineer IV Click here for full details. January 23, 2015 – (, Newport News, VA , ) – Design Team Lead Click here for full details. January 23, 2015 – (, Newport News, VA , ) – All Source Intel Analyst Click here for full details. January 23, 2015 – (Additional Location – Quantico, VA ( 1 Position) , 29 Palms, CA , ) – Standardization Analyst Click here for full details. January 24, 2015 – (Washington, DC, Washington, District of Columbia , USA) – All-Source Intelligence Analyst Click here for full details. January 23, 2015 – (Albany, GA, Albany, GA 31705, USA) – Warehouse Specialist – Albany, GA (2911) Click here for full details. January 23, 2015 – (The University of Texas at El Paso, El Paso, TX 79968, USA) – Post Doctoral – Physics Click here for full details. January 23, 2015 – (The University of Texas at El Paso, El Paso, TX 79968, USA) – Transfer Credit Evaluator (Admissions) – 10021757 Click here for full details. January 23, 2015 – (The University of Texas at El Paso, El Paso, TX 79968, USA) – Administrative Assistant II Click here for full details. January 23, 2015 – (2000 Clearwater Dr, Oak Brook, IL 60523, United States) – Lead Qualification Specialist Click here for full details. January 23, 2015 – (2000 Clearwater Dr, Oak Brook, IL 60523, United States) – Analyst, Sales Administration & Support Click here for full details. January 23, 2015 – (2000 Clearwater Dr, Oak Brook, IL 60523, United States) – Highway Pricing Analyst Click here for full details. January 23, 2015 – () –  Executive Operations Admin (OPSA) Click here for full details. January 23, 2015 – () –  Software Engineer Click here for full details. January 23, 2015 – () –  Senior Cybersecurity Engineer Click here for full details. January 23, 2015 – () –  Cybersecurity Engineer Click here for full details. January 23, 2015 – () –  MADSS Team Lead/Requirements Engineer Click here for full details. January 23, 2015 – () –  MADSS Requirements Engineer Click here for full details. January 23, 2015 – () –  Senior Requirements Manager Click here for full details. January 23, 2015 – (, Colorado Springs, CO , US) – Systems/Software Engineer Click here for full details. January 23, 2015 – (, Quantico, Virginia , US) – Records Data Manager Click here for full details. January 23, 2015 – (, Washington DC Area, Dist. Columbia , US) – Information Technology (IT) Service Management Specialist Click here for full details. January 23, 2015 – (, Palo Alto, California 94304, United States) – Senior Financial Analyst Click here for full details. January 22, 2015 – (, Richland, WA 99352, U.S.) – HR Consultant Click here for full details. January 22, 2015 – (, Washington, DC , United States) – Junior Analyst Click here for full details. January 24, 2015 – (, San Diego, California 92130, United States) – Bookkeeper Click here for full details. January 22, 2015 – (The University of Texas at El Paso, El Paso, TX 79968, USA) – Program Advisor/Lecturer – College of Engineering Click here for full details. January 23, 2015 – ( Tukwila, Washington, United States, 98188 , Tukwila, Washington 98188 , United States) – IT / Information Technology Manager Click here for full details. January 22, 2015 – (The University of Texas at El Paso, El Paso, TX 79968, USA) – Program Advisor – 10019707 Click here for full details. January 22, 2015 – (The University of Texas at El Paso, El Paso, TX 79968, USA) – Office Supervisor – 10019915 Click here for full details. January 22, 2015 – (The University of Texas at El Paso, El Paso, TX 79968, USA) – Budget Analyst (Extended University) – 10022406 Click here for full details. January 22, 2015 – (The University of Texas at El Paso, El Paso, TX 79968, USA) – Safety Specialist I Click here for full details. January 22, 2015 – (The University of Texas at El Paso, El Paso, TX 79968, USA) – Community Services Guard – 10022284 Click here for full details. January 22, 2015 – (, 29 Palms, CA 22554, US) – Electronics Maintenance Management Support Lead (183-817) Click here for full details. January 22, 2015 – ( Des Moines, Iowa, United States , 50009 , Des Moines, Iowa 50009, United States) – Click here for full details. January 22, 2015 – (Milford, MA, Milford, MA 01757, USA) – Administrative Assistant I (Contract Support) -full or part time will be considered. (2910) Click here for full details. January 22, 2015 – (, Camp Lejeune, North Carolina 28546, USA) – (2) Pass & ID/Registration Clerk (CLJ) JON 1305 Click here for full details. January 22, 2015 – (, Albany, Georgia 31704, USA) – Emergency Dispatcher (ALB) JON 1304 Click here for full details. January 22, 2015 – (Northern Kentucky/Cincinnati, Crescent Springs, KY 41017, USA) – Special Response Officer Click here for full details. January 22, 2015 – (29 Palms, CA, 29 Palms, CA 22554, USA) – P12 Information Knowledge Management Specialist (182-817) Click here for full details. January 22, 2015 – (, Norfolk, VA , US) – Programmer Click here for full details. January 22, 2015 – (, New Orleans, LA , US) – Senior Programmer Click here for full details. January 22, 2015 – (, New Orleans, LA , US) – Network Storage Specialist Click here for full details. January 22, 2015 – (, Albany, GA , US) – Systems Administrator Click here for full details. January 21, 2015 – (MCMWTC, Bridgeport, California 93517, USA) – Emergency Dispatcher (BRG) JON 1303 Click here for full details. January 21, 2015 – (, Cherry Point, North Carolina 28533, USA) – Emergency Dispatcher (CPT) JON 1212 Click here for full details. January 21, 2015 – (1801 Park 270 Dr. , St. Louis, MO 63146, United States) – Highway Account Manager Click here for full details. January 21, 2015 – (5940 Kopetsky Drive , Indianapolis, IN 46217, United States) – Driver Manager Click here for full details. January 21, 2015 – (, Quantico, Virginia 22134, United States) – Logistician Click here for full details. January 21, 2015 – (2345 Summer Street Building B , Hammond, IN 46320, United States) – Terminal Manager (Hammond) Click here for full details. January 21, 2015 – (5940 Kopetsky Drive, Indianapolis, IN 46217, United States) – Terminal Manager (Indianapolis) Click here for full details. January 21, 2015 – () – Machinist Click here for full details. January 21, 2015 – (, Cherry Point, North Carolina 28533, USA) – Crime Analyst (CPT) JON 1302 Click here for full details. January 21, 2015 – (Fort Belvoir, VA 22060 US, Fort Belvoir, VA 22060, USA) – Administrative Assistant III – Ft. Belvoir, VA (2908) Click here for full details. January 21, 2015 – (The University of Texas at El Paso, El Paso, TX 79968, USA) – Post Doctoral – Chemistry Click here for full details. January 21, 2015 – (, Austin, TX , US) – Global Cyber Security (GCS) Senior Manager, Compliance Click here for full details. January 21, 2015 – (, Camp Pendleton, CA 92055, ) – Computer Operator IV (2190-205) Click here for full details. January 21, 2015 – (, Sunnyvale, CA , US) – Technical Enablement Expert Click here for full details. January 21, 2015 – (, Sunnyvale, CA , US) – Product Marketing Manager, Application Delivery Management – Service Virtualization Product Click here for full details. January 21, 2015 – (, Sunnyvale, CA , US) – Product Marketing Manager, Application Development Management, Lifecycle and Quality Click here for full details. January 21, 2015 – (, Fremont, CA , US) – Software Engineer Click here for full details. January 20, 2015 – (, Richmond, Virginia , US) – Field Consultant Click here for full details. January 20, 2015 – (, Fort Fisher, NC 28449, US) – Trim Carpenter – Open Submission (2186-205) Click here for full details. January 20, 2015 – (, Dahlgren, VA VA, US) – Unix System Administrator (Computer Analyst) (2185-205) Click here for full details. January 20, 2015 – (, Quantico, Virginia 22134, United States) – MCISR-E Network Engineer Click here for full details. January 20, 2015 – (The University of Texas at El Paso, El Paso, TX 79968, USA) – Community Services Guard – 10021240 Click here for full details. January 20, 2015 – (, San Diego, CA , United States) – Antiterrorism/Force Protection Instructors (339-845) Click here for full details. January 20, 2015 – (Camp Lejeune, NC, Camp Lejeune, NC 28542, USA) – Warehouse Operator / Data Entry Clerk – Camp Lejeune, NC (2909) Click here for full details. January 20, 2015 – (Honolulu, HI, Honolulu, HI 96860, USA) – Warehouse Specialist – Pearl Harbor, HI (2907) Click here for full details. January 20, 2015 – (MCAS, Cherry Point, North Carolina 28533, USA) – Administrative Clerk (CPT) JON 1301 Click here for full details. January 20, 2015 – (, Laguna Niguel, CA , ) – Data Entry Operator II (3rd Shift) Click here for full details. January 20, 2015 – (, Alexandria, Va , United States) – Recruiting Specialist Click here for full details. January 20, 2015 – (29 Palms, CA, 29 Palms, CA 92277, USA) – PD18 Global Command and Control System, Intelligence Operations Server (IOS) V1&V2, JCR / C2PC Systems Administration/Instructor (180-817) Click here for full details. January 20, 2015 – (, Herndon, VA , US) – Email as a Service Engineer (Public Trust Clearance) Click here for full details. January 20, 2015 – (, Raleigh, NC , US) – Senior SQL/Oracle Systems DBA Public Clearance Click here for full details. January 20, 2015 – (, Raleigh, NC , US) – Systems Administrator – UNIX/Linux (Top Secret Clearance) Click here for full details. January 20, 2015 – (, Clarksville, VA , US) – Cyber Security Specialist – Security Risk Assessment (Public Trust Clearance) Click here for full details. January 20, 2015 – (, Clarksville, VA , US) – Security Operations Center – Security Risk Assessment (Public Trust Clearance) Click here for full details. January 20, 2015 – (, Clarksville, VA , US) – Cyber Security Specialist Click here for full details. January 20, 2015 – (Clarksville, VA, , US) – Service Desk Exchange Agent Click here for full details. January 20, 2015 – () – Sr. Programmer-Analyst – ColdFusion (2184-205) Click here for full details.